Personal development in the form of hobbies, habits and challenges are topics we are all familiar with. We set new goals, stick to the plan and try to make it efficient. In most cases, we all need time and resources to achieve our goals. And thanks to technology shifts we are able to learn and improve our skills in new ways. We are a Stockholm based start-up with an international team who believes that personal development should be available for everyone. Our vision is that success can be achieved with micro learning at affordable rates. Our mission is to make personal development accessible to everyone, anytime and anywhere. We aim to make it fun, while achieving your goals or forming new habits.  At Optimus we remove the barriers between success and long-term commitment by offering affordable coaching without binding contracts and stressful schedules. You get access to a community of passionate coaches and challenges, whenever and wherever you want. We offer you flexibility with the possibility to join and start your self-development whenever you can. It’s you working towards your goal on your terms.